The Baldwin Hills Crenshaw community is changing shape. The South L.A. neighborhood has received various grants within the past several years to start programs aimed at reducing its relatively high rates of diabetes, heart disease and obesity while improving access to nutrition and basic health services. It is still unclear whether overall health outcomes are improving in the area. Many of these programs are less than a decade old, and are being pushed into neighborhoods that remain swamped with fast food restaurants and liquor stores. According to the Centers for Disease Control and Prevention, only 8 percent of area food retailers in the area are considered healthy. Yet, many positive trends are emerging. The California Department of Public Health reports that the number of deaths in Baldwin Hills caused by heart disease dropped 15 percent between 2007 and 2012. These numbers are in line with broader surveys of South L.A. conducted by the Los Angeles County Department of Public Health. The number of adult respondents reporting as obese dropped 2.7 percent between 2007 and 2011. While the numbers may not be drastic, they do signify an encouraging shift. Access to health initiatives and resources could soon improve as well. Construction of the over $2 billion, 8.5-mile Crenshaw/LAX Transit Project may help alleviate South L.A.’s history of limited mobility and improve residents’ ability to get to and from grocery stores, health care facilities and fitness classes. Dr. Tracy Robinson MD, CMO, works at To Help Everyone (T.H.E.) Health and Wellness Centers in Crenshaw. The needs-based Federal Qualified Health Center has been part of the community for more than 30 years. Robinson said that patients love having the train next to their facility. A number of farmers markets have also popped up in South L.A. with the specific goal of giving underserved residents access to healthy food options. 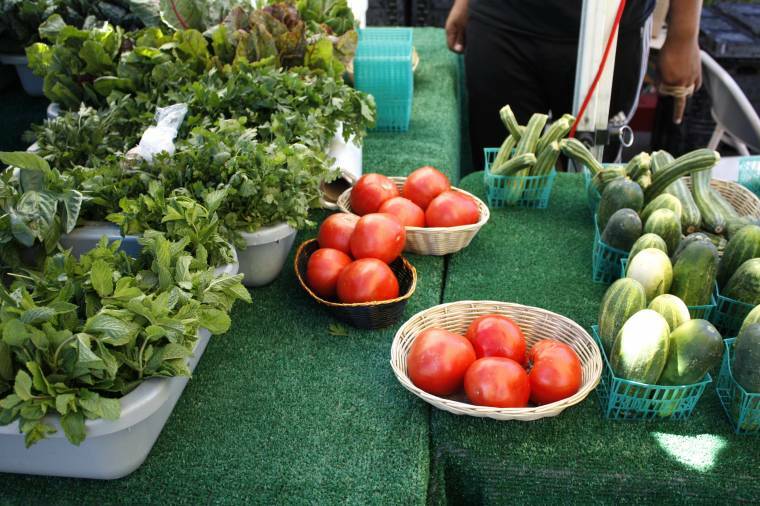 The Baldwin Hills farmer’s market is run by Sustainable Economic Enterprises of Los Angeles (SEE-LA), a nonprofit that focuses on connecting local farmers with nutrition-hungry community members. Health activist and market manager Marie-Alise de Marco has seen a positive impact on the community since the market was created seven years ago. Data from the LADPH survey supports her claim. Between 2007 and 2011, the number of adults who report eating five or more servings of fruits and vegetables per day has risen from 11.4 percent to 12.7 percent. As with the drop in obesity, even a small shift toward a better diet is a good sign for those in the area. This trend is also borne out by a UCLA Center for Health Policy Research survey of South L.A., which shows the percentage of people who have eaten fast food four or more times in the previous week decreased from 15.2 percent in 2007, the year SEE-LA was founded, to 14.4 percent in 2011. It is yet another positive trend indicating growing momentum behind a more health conscious community. Quite a few policy proposals, including a 2008 moratorium on new fast food developments, have been aimed at blunting the consumption of fast food, and the data suggests that they also may be having an effect. 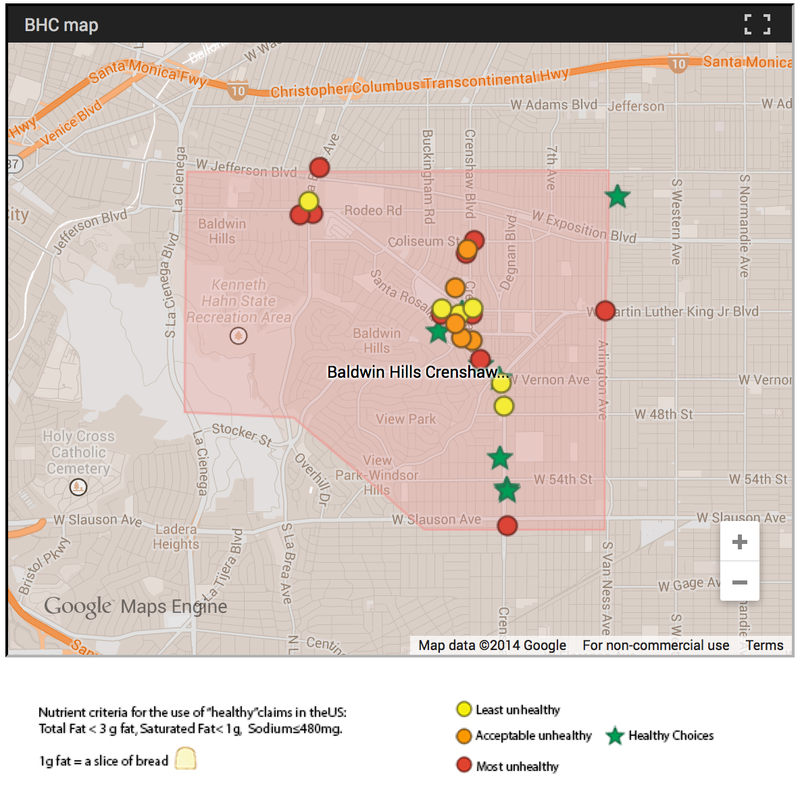 Yet, diabetes remains an area where Baldwin Hills Crenshaw health programs have seen little progress. Deaths related to the illness remain high, and while much is being done to attempt to change this pattern, more education is needed. Robinson points to a lack of patient education when it comes to the high rate of disease and mortality in the Crenshaw and South L.A. area. She said that at T.H.E. Health and Wellness Centers, doctors and administration provide patients with as many classes and programs as possible, in order to help them improve their health. “We provide our patients with healthy living guidelines and services that they can utilize. We always provide them with appointments and walk-ins are always welcome,” said Robinson. Dr. Eric Gaylord has practiced optometry in the neighborhood for 24 years, and he noted that diabetes has reached endemic proportions in the area. Though many challenges face the doctors and patients attempting to tackle diabetes, the small samples of data available suggest that diabetes outcomes are anomalous to an overall trend of improving health in the community. Even more initiatives are on the way. Market Match, a recently launched program that matches federal nutrition assistance benefits dollar for dollar at farmers markets, is attempting to incentivize healthy eating habits in the area. Participants simply show up to participating markets, swipe their benefits card, and receive tokens they can then spend on fruits and vegetables. Although challenges remain, progress is being made. Originally written for Neon Tommy: CLICK HERE FOR THE STORY. This multimedia story was produced in collaboration with the 2014-2015 M.S. Graduate Program at USC’s Annenberg School of Journalism. I produced this along with Diana Crandall, Bentley Curtis, Taylor Haney, Daniel Jimenez, Kevin Mallory, Ken Mashinchi, Jonathan Tolliver and Yingzhi Yang.